Allen Barron, Inc. and Janathan L. Allen, APC, offer holistic business advice and legal services to a diverse domestic and international clientele. We provide holistic guidance to U.S. and international businesses, helping our clients seize opportunities and avoid trouble. Janathan L. Allen, APC, offers mature legal advice that empowers companies, families and individuals to protect their interests. We help clients understand and meet vital accounting needs, including internal audit, forensic accounting and tax compliance. Allen Barron, Inc. provides integrated legal, tax, accounting, business, financial and management advisory services to individuals and businesses located throughout Southern California and around the world. Janathan L. Allen, APC provides legal advice and representation to a varied domestic and international clientele. Our San Diego based tax attorneys advise on all issues related to offshore accounts and investments, FBAR and FATCA compliance, as well as collections issues with the IRS and California’s taxation agencies. We support US taxpayers on all issues with the Internal Revenue Service including IRS audits, audit appeals, tax controversies, IRS levies, garnishments and liens. We represent taxpayers before all California state agencies including the California Franchise Tax Board or FTB, the Employment Development Department or EDD, and the Board of Equalization or BOE. 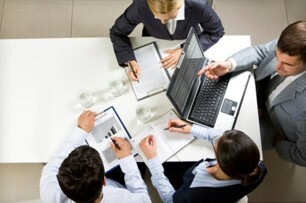 Our business and legal services cover every aspect of a business life cycle from formation, through employment contracts and agreements, business contracts, mergers and acquisitions, business succession planning, disputes and ultimately the sale of a company or business interest. Our estate planning attorneys work with simple to complex trusts, and provide legal strategies to protect assets and wealth, while minimizing exposure to taxation. We ensure that you have access to the assets you need, while planning and structuring trusts to ensure preservation of some assets upon the passing of a spouse, while providing for the surviving spouse. Ultimately, most trusts are designed to ensure that assets are protected and passed to your beneficiaries and heirs. We are known for being pragmatic, intelligent and thorough. We engender new thinking. We are here to help you protect your interests and pursue the outcomes you want. Janathan Allen is featured in the current issue of “The American,” the leading magazine for Americans living, working and visiting the UK. This publication focuses on US expats, and Jan’s article 2019 Expat Tax Challenges” focuses on reducing risk and tax exposure for American expatriates. Jan is also quoted in a related article “Brexit for Americans” – What will happen to overseas Americans when (if?) Britain leaves the EU? California initially passed Proposition 65 (which was called “The Safe Drinking Water and Toxic Enforcement Act of 1986”) as a voter initiative in 1986. The primary issue facing business owners today is the provision of a consumer notice which identifies the specific chemicals or compounds contained within a product or food which are known by the State of California to cause cancer, birth defects or reproductive harm. While there have been various interpretations of the laws and legal proceedings to hammer out the details, a final date for businesses to come into compliance with specific notifications associated with Prop 65 has been established. It is August 30, 2018. Are you concerned about coming into compliance with California Prop 65 as a manufacturer, distributor, retailer, catalog house or online point of sale for consumer products and commercial goods sold within the State of California? How can you provide a Clear and Reasonable Warning and ensure compliance with all regulations under this complex statute? Is there a Safe Harbor, Safe Use Determination or SUD, or Naturally Occurring Exemption which would reduce your exposure to litigation and financial consequences under Prop 65? What should you do if you receive a 60 day Notice or are served papers regarding a lawsuit? Allen Barron has been selected as a “Best of North Inland 2017” for Accounting and Tax Preparation by the 2017 Pomerado News readers’ poll. Congratulations to Janathan Allen, who has been named to the North San Diego Business Chamber’s Board of Directors for 2017-2018. Seeking a tax lawyer or business adviser in San Diego, Orange County, Los Angeles or elsewhere in Southern California? Contact us for a free consultation or call 866-631-3470. Our clients value insight and informed answers on a variety of issues from several perspectives that help their business to grow and succeed. Each aspect of your business affects other operations or financial performances throughout the organization. With Allen Barron, you no longer have to seek the advice of 3 or 4 separate professionals. We simplify the process and provide expert counsel and services while offering greater efficiency and cost-effectiveness.